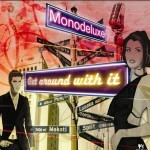 Monodeluxe is an Italian guy called Alessadro Oliviero, living in the cold Switzerland. He was born in 1968 so he was lucky to spend his teenage years with Disco and P-Funk music of the time, getting involved in several music styles of the period. In that days he recognized that his favoured sound was R&B and Funky music rather than popmusic etc. So he grew up with the very best artists as George Clinton, Sos Band, Fadback etc. 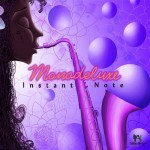 Due to these music influences, Monodeluxe's style is bounded to the very essence of Funk and R&B sounds melted with modern NuJazz and Cooltempo. 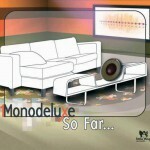 Monodeluxe takes inputs from the past and turn them into modern sound trying to make his own sound. His proudness gets Monodeluxe to be original and to avoid déjàvu sounds. In order to reach that, he uses modern music equipment as complementary instruments to get the aim of it. 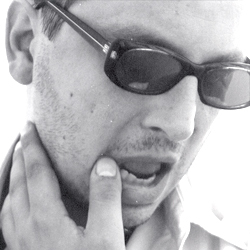 He hopes to reach people throughout emotions and fingerlicking grooves. He loves to be Deep and his favourite styles are Deep & Jazzhouse with some futuristic sound-touch, Nujazz & Nusoul, 70's Funk and also brazilian nubossa breaks. These are the main elements that he used to work with. Monodeluxe main thing is to reach the sound that makes the difference in order to satisfy the audience and his soul too.